Q- Do I need a specific AM & PM routine? 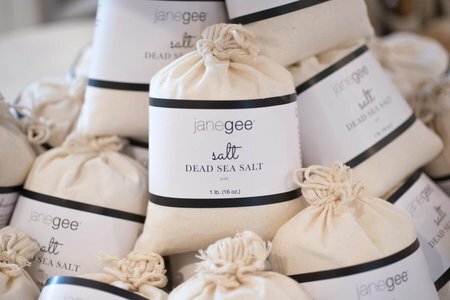 A- janegee believes in keeping your skincare routine simple. A good cleanser is a must as it helps to establish the pH, so the skin can work properly. If you have any skin issues, a treatment product should be added. Seek advice to learn what you should use. A healthy moisturizer specific to your skin condition should also be used. A moisturizer without synthetic preservatives or ingredients can be used both morning and night. We do not believe in “special night cremes”. A good healthy product will not clog your skin, so you’re able to use them both morning and night. Q- Why is cleaning your face so important? I don’t wear makeup, why can’t I just use water or soap? A- Using the correct pH balanced cleanser is imperative, and I think the most important part of any skincare routine. If the pH is balanced, the skin can function with full integrity. Stay away from scrubs, peels and surfactant cleansers (including soap). They will destroy your skin over time. Q- What do you recommend for small textural acne? A- I believe you could have an overgrowth of yeast. You can do a spit test to determine if you have an overgrowth. This is a dietary issue and does not behave like adolescent acne. It is important to cleanse with an oil-based cleanser such as janegee Clear Skin. 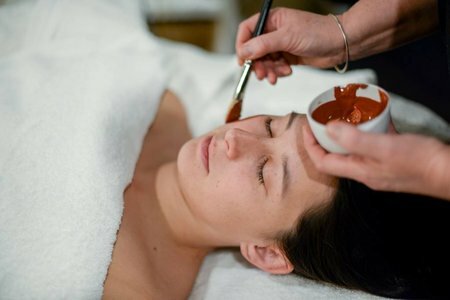 Detox regularly to keep your skin healthy, you can do this with a janegee Clay Mask. You also need to adjust your diet. Increase garlic and turmeric in your diet. janegee has a protocol to address this issue if you do indeed have it. Take a clear glass of water and spit into it within 30 minutes of waking up. Make sure you build up a bunch of saliva, but just saliva from your mouth - don't cough up anything. Do this before you rinse, spit or put anything into your mouth. Then wait for 15 minutes. Your saliva will float on the surface of the water, which is normal. However, if you see cloudy saliva that sinks to the bottom of the glass like sediment, you may be seeing colonies of yeast. You may also see the saliva on the top with tiny strings that start to hang down that may look like jellyfish, hair, or spider legs, or suspended specks of yeast floating in the middle of the glass. Q- I have dry skin and an oily scalp, what do you recommend for shampoo, body wash, soap, lotion, and/or oil? A- An all-natural shampoo will likely balance out the oil production from an oily scalp. We love the brand Oway. We carry a variety of their products in our store. For dry skin on your body, I suggest you increase good fats in the diet. It will take about 8 weeks to see a difference. Dry body brush regularly to increase circulation and boost the immune system. Use a good body lotion or body oil and put it on after a shower when your skin is damp. For dry skin on your face, I recommend janegee Mild Cleanser, Elixir and Vitamin Creme. However, the use of these products is also determined by age and condition of your skin. Hydrosols or natural flower waters are fabulous for spritzing your skin throughout the day to add hydration and gives your skin a pick me up. Also make sure you are eating a healthy diet and your vitamin D3 levels are where they should be. Q- Are you an aromatherapist? A- Yes, I am an aromatherapist, herbalist, and nutritional skincare expert. A- For a sore throat, gargle with either diluted apple cider vinegar or salt. Soak a cloth in apple cider vinegar and place on your throat. This dilutes acid causing the inflammation. Ear aches are best addressed with onion juice in some warm olive oil placed in the ear canal. Block the canal with cotton to prevent it from coming out. If you have a cold, slice onions up and place in socks on the soles of your feet. Sleep with this overnight. If you have a cough then grate or slice a daikon radish, sprinkle with brown sugar. A liquid will appear after time, this is your cough syrup. Works like a charm. You could also try drinking Manuka Honey. Hi Paula! So nice to hear from you. I'm glad to hear you are enjoying the products. For dark spots I recommend applying our Elixir face serum on your face and chest, and taking The Beauty Chef Antioxidant Boost as a daily supplement. Feel free to shoot us an email or stop by the store if you have any other questions! Hi Jane, what is the best way to lighten brown spots on face and chest? I love your products, and currently using your Vitamin cream, clear skin, & face oil, (orange blossom). I also love the blackhead remover for an occasional pimple. Thank you!